I found a spot (and a use) in my study for that pretty useless little table. I left it streaky for now and HAH. It’s not exactly the same color as my walls*. 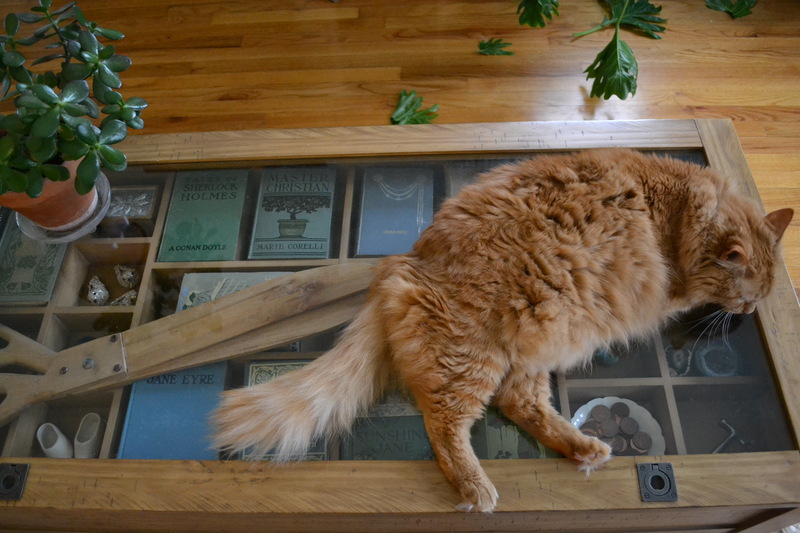 A pile of books on a table is better than a pile of books on the floor—and unlikely to be harmed when, inevitably, the cats knock the whole thing down. 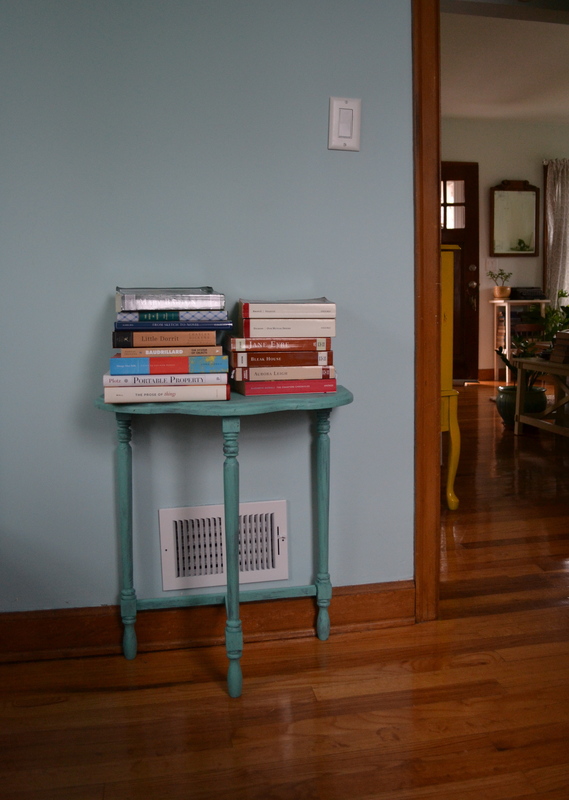 I don’t really like how this table seems to frame the ugly little heat vent beneath it. Oh well. bits and pieces of a plant that Mr. Cat destroyed before his table nap? *Or, as some of you have noted, the inside of my head.